COLORADO SPRINGS, Colo. — Notching yet another historical milestone, RUSH Field Hockey garners its highest national club ranking in program history in the latest standings released by USA Field Hockey. To put it into a regional perspective, the next highest-ranking California club program is trailing 50 spots and 300 plus points. The five spot climb to No. 3 for the RUSH under-19 program coincides with the most successful season since RUSH’s beginning more than a decade ago. But perhaps even more rewarding is the unspoken and overwhelming undertone of the unfamiliarity of a west coast team--in what is thought to be an east coast past time--on the leader board. With 417.50 points at the close of club season, RUSH sits just five points shy of tying No. 2. FH Life, and 20 plus points away from the new No. 1, Princeton Field Hockey club. Rankings are based on performances from 2014 to present at six different USA Field Hockey sanctioned events. Those events, which vary in the number of points possible, include: Festival (100), Disney Showcase (120), Regional Club Championships (40-65), the National Club Championships (200), Club Challenge (40) and the newly added President's Day Showcase (100). RUSH under-16 remains at No. 35 as they continue to enter more USA sanctioned events. The newest travel team, RUSH Under-14 is already on the board tied at 47th in the nation. For more information, questions, comments contact RUSH Field Hockey on Facebook. 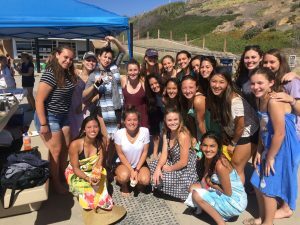 SAN DIEGO -- As high schools and universities begin to start their season, this past year of field hockey was one to remember. RUSH Field Hockey-- like our USWNT at the Rio Olympics-- captured the attention of field hockey fans and players around the world in epic fashion. This summer RUSH Field Hockey capped off the club season with their greatest performance in program history. RUSH Under-19 captured 5th place at the National Club Championship held in Lancaster, Pennsylvania this past July to solidify their spot in the national spotlight. With a core group of Under-16 team members on the roster, RUSH is slated to return a seasoned group. From the tournament get-go, RUSH knocked off historic field hockey club powerhouse Xcalibur, in a decisive win to survive and advance. In another test of competition, RUSH was the talk of the annual California Cup tournament in May. A second place finish earned the respect of field hockey critics with competition consisting of seasoned pros; Olympians, All-American's and current Division I field hockey players. Other tournaments include first place finishes at; the 2016 Presidents' Day Showcase and 2015 Hockey Festival. RUSH Under-16 also captured gold at Festival and in their first showing, RUSH Under-14 took home third place. As of August, RUSH Field Hockey Under-19 sits at No. 7 in the the USA Field Hockey National Club Rankings, according to their website. This ranking does not include the national club championship points, and 90 points possible for RUSH. The Under-16 RUSH Field hockey team continues to climb in rankings now at No.35. And for the first time, RUSH Under-14 is now on the board tied for 47th in the nation. Individually RUSH dominated USA Field Hockey pipeline selections. Five RUSH Field Hockey Elite Performance Group members were selected to the Under-21 Junior National Camp for a shot to make a junior national team with selections still on-going. Additionally, 22 total RUSH Elite Performance Group Members were selected to compete at the 2016 National Futures Championship. This is eight more RUSH EPG players selected than in 2014. As RUSH continues to grow in the number of training participants--the coaching staff has as well. Brian Schledorn and the RUSH Field Hockey program announced the addition of Crystal Poland to the coaching staff earlier this summer. Poland joins RUSH after a stellar career at Northeastern as their record-holding leading scorer and 2x First Team All-American. A Canada native, Poland also represented team Canada on their senior women's national team. As field hockey grows in popularity, RUSH Field hockey met the demand to add a Under-14 travel team and training sessions. With middle school field hockey season starting in the winter, RUSH Under-14 Fall Training will begin next Thursday, September 13th. Click here for details. RUSH Field Hockey is committed to reaching our community of training members, parents, universities and hockey fans in any way we can. Nearly 700 followers track RUSH Field Hockey on Facebook, Instagram and Twitter. RUSH Field Hockey's Instagram consists of more than just current and past team members. From a recruiting standpoint, current DI, II and III coaches and universities track RUSH Field Hockey's continued success, college commitment announcements and more. Other fans of RUSH Field Hockey on Instagram include companies like: JDH, Hockey Factory with Adidas, Longstreth, Grays, TK, and Velocity Sports in San Diego. On Twitter, RUSH Field Hockey posts and interacts with the community in a more up to the minute commentary--especially at national tournaments. Not to be outdone, RUSH Twitter also has an impressive list of followers. Most notably, 5x FIH World Hockey Player of the Year and Olympic gold medalist, Jamie Dwyer, is a RUSH Field Hockey follower. Other followers include competing clubs across the country, USA Field Hockey affiliated accounts, recruiting and award-recognizing organizations. On Facebook RUSH Field Hockey is a bit more tight knit of a community. A majority of RUSH Field Hockey Facebook followers are some of the program's nearest and dearest. Parents, siblings, and family friends of RUSH training members are the overwhelming majority on this social media outlet. RUSH alumni of the same backgrounds also continue to follow and cheer on RUSH Field Hockey as well. Nina Randolph is among the 5 RUSH EPG players at U21 JR. National Camp, July 3-6. LANCASTER, Pa. -- It's selection season for USA Field Hockey and RUSH Field Hockey athletes have captured roster spots at every level thus far. Selections include to the 2016 National Futures Championship-Region 11, the newly added Stars and Stripes Game, and the premier Under-21 Junior National Camp. With each selection, athletes further their chances to represent team USA on a junior national team. This year, 22 RUSH Elite Performance Group Members were selected to compete at the 2016 National Futures Championship. This is eight more RUSH EPG players selected than in 2014. The 9-day tournament held at the Spooky Nook Sports complex in Lancaster, Pennsylvania features the country's top 12 percent of Under-19 players, according to USA Field Hockey. The tournament acts as both a chance to showcase in front of college coaches and USA selectors. Additionally, several more players selected to each division of NFC's-- Under-14 through Under-19-- are RUSH Training Group members. All in all, RUSH players made up for more than half the spots on the Region 11 team rosters at NFC's. As always at showcase tournaments, the stakes and hopes are high to perform well and be seen. For eight RUSH EPG players, they caught the eye of USA Field Hockey and came away with selection to the Stars and Stripes Game. RUSH EPG players selected for Stars and Stripes Under-16 included: Megan Connors, Kathryn Peterson and Brynn Zorilla. Under-19 selections included: Gabi Jimenez, Kyra Kent, Nina Randolph, Megan Rodgers and Meghan Schneider. In the first year of the Stars and Stripes Game, athletes compete in games immediately following the conclusion of NFC's. Representing the top 180 players, athletes will have the opportunity to play in a Stars and Stripes Elite tournament in December, according to USA Field Hockey. However, for Peterson, Randolph, Rodgers, Schneider and Zorilla, they will continue competition through Fourth of July weekend at the Under-21 Junior National Camp. Working as USA Field Hockey's final tier, JNC will welcome the country's top 80-100 players at the Spooky Nook Sports complex, July 3-6, for a shot at a junior national team. Players range from the Under-14 division to Under-21 collegiate athletes who earned selection via the Young Women's National Championship tournament. The six total Californians selected to JNC represents the highest number of west coast players selected in years. The one other California player selected to JNC, Callie Goodman, competed for RUSH Field Hockey earlier this year at the California Cup tournament. Last year, Rodgers and Zorilla were the only RUSH players selected to JNC. They both were then selected to the 2015 Under-17 Junior National Travel team that toured in Germany earlier this year. For 45 years, international and domestic field hockey teams have made the trek from around the globe to a singular turf field on a small city college campus nestled tranquilly in the hills of Ventura County. It’s there that eight teams in the California Field Hockey Cup Women’s Supers Division, lace up their turfs and vie to knock around a field hockey ball in hopes of capturing championship magnificence and to hoist a check for $7,500 above their exhausted selves. But what is so magnificent about Cal Cup? In a sport commonly without financial profit anyway, the greater enticement Cal Cup offers is the opportunity to go stick-to-stick against the best. We’re talking about teams that for months in advance actively train, recruit and in some cases negotiate compensation to have the aforementioned best on their roster. The best jump off the pages of the tournament program for distinction as former and current field hockey legends, NCAA DI All-Americans, Olympic medalists, Pan Am champions, sponsored European professionals and now with their 2016 Cal Cup showing- RUSH Field Hockey team members. RUSH Field Hockey teenagers to be more precise. Kids, essentially. Kids, that in a championship showdown vs. the veteran and talented Jolie Pitts, ruled possession and opportunities that remained scoreless until the final quarter of play. Kids, whom a majority were attending their high school prom just the week before with shin guard tan lines on full display. Kids, who still have to sport hockey eye wear during their school games on clumpy grass fields or football-lined turf in North San Diego County. Kids, who will next year come together and finish their quest to be crowned the best regardless of their experience or the division some thought they should have been kept in. Aren’t they young to be in the supers division? Aren’t they lacking in experience? Are they physically strong enough? Are they mentally tough enough? Do they understand structure? Wait, who is on RUSH’d? These kids demonstrated what is loved most about this game and team sports as a whole. You can come from anywhere, be of any background and find success in this sport on any stage if you have the proper coaching, fundamental skills and teamwork know-how to make it happen. RUSH Field Hockey will always be their foundation, but they represent the sport of field hockey on other levels as well. They will continue to represent field hockey growing out west, they will continue to represent on USA Field Hockey teams, they might attend and play for your Alma Mater, and one day, arguably sooner than later- they will be sought after to represent other Cal Cup supers' teams. These kids are RUSH Field Hockey. These kids are among the best. These kids are the future of our sport. Let’s hear it for these kids. SAN DIEGO -- RUSH Field Hockey has announced Crystal Poland has been added as an assistant coach to the program beginning this month. She will coach her first tournament at Cal Cup and will also be playing for RUSH'd in the Supers Division. 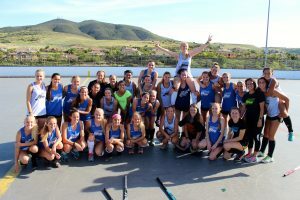 "I could not be more excited to get involved with the RUSH Field Hockey club," said Poland, who coached for Wargles Field Hockey club and San Pasqual High School this last season. "I’m thrilled to continue sharing with young players my passion and experiences at the collegiate and international level." A Canada native, Poland was a four-year starter at Northeastern University from 2009-2012, where she received a number of accolades. She coached at Northeastern for the 2013 season. In the record books as the Huskies' all-time leading scorer (179 career points, 78 career goals), Poland twice finished in the top-5 of the NCAA for scoring, garnering first-team All-American recognition twice as well. With stats like that, she was also a three time Longstreth/NFHCA All-Northeast Region First Team honoree. Beginning her first season as the 2009 CAA Rookie of the Year, Poland book-ended her career as the 2012 Colonial Athletic Association Player of the Year. All in doing so, she led Northeastern to two CAA Tournament finals and two NCAA appearances. Not to be overshadowed, Poland has paved a history of success on the hockey pitch back home as well. In Canada, Poland earned six caps playing for the Canadian Sr. Women's National team from 2008-2010. A cap represents each appearance a player has in an international game at the senior level. On her way up, she played for British Columbia’s Under-19 provincial team in 2008, winning gold at the Under-19 National Championship and silver at the Sr. National Championship, in which she took home MVP tournament honors at both. Poland earned a B.S. in Marketing and B.A. in Communications. She lives in Poway with her fiance Joey and their two cats, Lumen and Chewy. 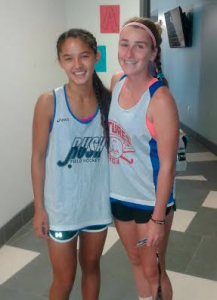 (Left to Right) Brynn Zorilla & Megan Rodgers were both selected to the USA U17 Tour Roster. COLORADO SPRINGS, Colo. --Two RUSH Field Hockey players have been selected to the USA Under-17 Women's National Team tour roster that will compete in Germany later this month. Megan Rodgers and Brynn Zorilla, both RUSH Elite Performance Group members and University of California- Berkeley commits, are the only players selected from west of Texas to the final roster. Rodgers and Zorilla will travel with the USWNT to Mannheim, Germany, May 11-17, to compete in a three nations tournament, according to USA Field Hockey. Matches against the Netherlands and Germany will be played at the Mannheim Hockey Club. In the last six months, Rodgers and Zorilla traveled back and forth to the east coast for training camps with the USA junior team. Alongside 24 of the nation's top Under-17 standouts, the two San Diego natives were among the 18 players selected for the tour. The Under-17 USWNT will be coached by Jarred Martin and assisted by Ainslee Lamb and Tracey Fuchs. All three coaches have extensive success both with USA Field Hockey and their respective universities and programs. "The Under-17 squad has been working very hard over the past six months and growing each training weekend," said Martin to USA Field Hockey. "The team is excited to have some high quality matches against Holland and Germany, as well as represent USA on the international stage." The tournament will give USA Field Hockey an idea of how they stack up against other junior teams of notoriously top-performing countries, according to Martin. The selection process for the USWNT rosters began a year ago from a pool of 680 field hockey players up for selection to either the Under-17, Under-19, Under- 21 or senior national team. Players attended the 2015 Young Women’s National Championship, National Futures Championship and Futures Elite Championship showcase tournaments held back east. Additionally, the USA Under-19 Women's National Team will be traveling to Germany along with the Under-17 team, but will be competing in a different region. Follow RUSH Field Hockey on social media for updates on Rodgers and Zorilla while in Germany. On behalf of the RUSH Field Hockey, we would like to say thank you and good luck to Molly Cassidy. In her year and a half time at RUSH Field Hockey, she is been a huge contributor in RUSH's recent successes with her coaching, mentoring and organization. She has expanded our RUSH community with her informative newsletters and social media posts; sharing our day to day travels to all, college commitments and special tributes. Her selfless energy has brought so much to every training session and competition, allowing RUSH to expand to three competitive age groups. Our GKs have benefited from her knowledge and are prepared for the next level. We are so fortunate for all that she brought to the RUSH Field Hockey Organization, but mostly she was a great friend to all. We wish you all the best in your new adventure. You will be missed! Luckily, Molly will continue to remotely oversee our website and social media. Go RUSH! SAN DIEGO -- RUSH Field Hockey's success is beginning to look more routine than a competition to be had. To outsiders the pattern might look like: RUSH competes at a showcase, RUSH wins gold, and RUSH rises in yet another USA Field Hockey club ranking poll. However, ask any RUSH player and they would say it is so much easier written than done. 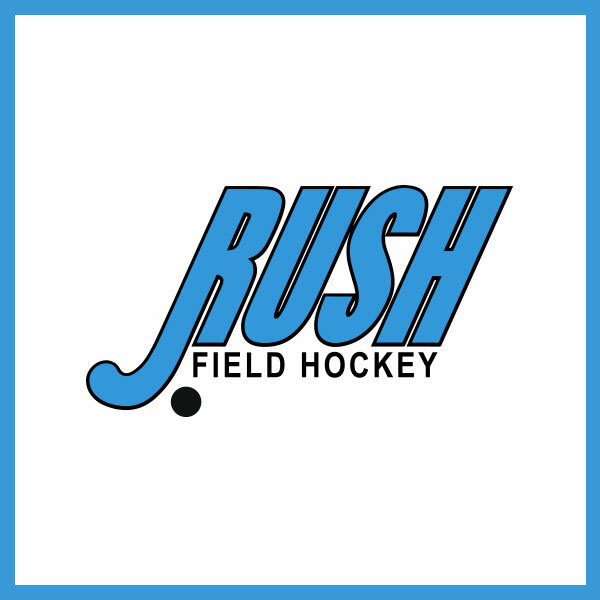 In the month of March and high school off season for field hockey, the success of RUSH can be seen for what it really is: a gradual climb built on RUSH training sessions and their indoor league while providing and supporting opportunities for game play. COMPETITIONS: In back-to-back weekends, RUSH made the trip up to the Bay Area to participate in spring clinics hosted at Cal Berkeley and UC Davis. RUSH players from Under-14 to Under-19 age groups competed in multiple 6v6 & 7v7 games after a short introductory clinic to begin each weekend. Teams from all over the state compete to win their pool with games typically only 15-minutes long. The annual clinics also provide players the chance to see a California field hockey college, and interact and be seen by their coaching staff. RUSH will participate in the annual Stanford Field Hockey Clinic coming in April. RUSH TRAINING SESSIONS: Spring Training sessions for U15-U19 will begin Thursday, March 31st at 4S Ranch Sport Park. This training block will focus on: goal scoring, circle play, and special skills. All Sessions will end with game play and hockey fitness. Sessions are 90 mins., from 4:30-6:30pm on the outdoor enclosed courts. For membership click here. Once you have your membership you can register here. For RUSH Elite Performance Group members, the Elite Spring Training is also now open. For more information click here. RUSH SPRING LEAGUE: RUSH Spring League is an indoor field hockey league played at Kit Carson Sport Center on the covered roller rink in a 5v5 format. This league differs from winter league in a few ways: Each player will be assigned to a team and teams will be coached by RUSH coaches. Players will be placed on a team in either Division 1 or Division 2 based on the athlete's most recent high school season. Each game will consist of three 12-minute periods. The court is surrounded by boards on all sides to keep the ball continuously in play. No penalty corners. Be on the lookout for POGO League for Under-14 boys and girls this summer. For more information click here. 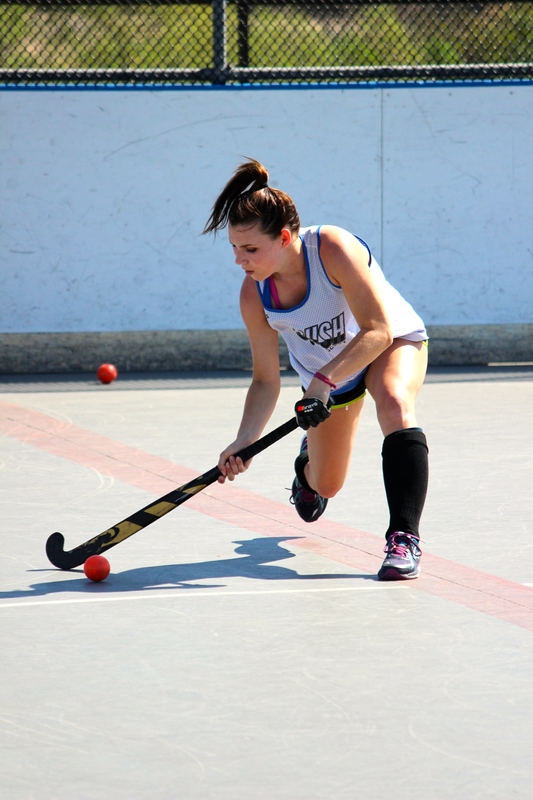 RANKINGS UPDATE: The RUSH Field Hockey Under-19 team jumps one spot to No. 5 in the USA Field Hockey National Club Rankings poll as released earlier this month. With 407.50 points, RUSH earned their latest ranking after winning their pool at the first annual Presidents' Day Showcase in February. The next highest ranking California club is Quicksilver Cats (No. 58) with 87.50 points. SARASOTA, Fla. -- RUSH Field Hockey clinches the gold medal at the inaugural Presidents' Day Showcase that concluded in Florida earlier today. On their final day of play, RUSH Field Hockey faced arguably their toughest and most renowned opponents yet. RUSH Field Hockey had a quick start against the Louisville-based field hockey club IFHCK, with a goal from Katie Schneider. This was Katie's fourth goal of the tournament. IFHCK rebounded with a goal making it the first strike against RUSH all tournament. Not missing a beat, RUSH responded with a winning goal from forward Ryan Poe. This was Ryan's second of the tournament. In their last game of the tournament, RUSH tied Jersey Elite (1-1) despite out-shooting their opponent and a number of great build ups from the backfield . The result- combined with their scoring records and wins, clinched gold medals and smiles all the way home. On the first day of tournament play, RUSH Field Hockey jumped out to a fast start with six different players scoring. With an early morning game, RUSH defeated Charlotte Ambush (2-0) to earn their first win of the tournament. Goals were scored by Sawyer Post and Katie Schneider with assists from Kathryn Peterson and Maddi Theodore. In their second and final game of the day, RUSH shutout Majestx Elite (5-0) to gain another win and shutout on the day. Goals were scored by Ryan Poe, Megan Rodgers, Katie Schneider, Meghan Schneider, and Brynn Zorilla. RUSH goalkeeper, Zoe Williams and the defense have kept their opponents scoreless and will continue that feat for the next two games. On Sunday, RUSH Field Hockey continued their dominance with a hat trick and a pair of shutout victories. RUSH wasted no time at all tallying a (4-0) win against BCFHC ST Storm in their first game. The goal scorers: Sawyer Post, Megan Rodgers, Katie Schneider and Maddi Theodore. This marked their third win and shutout of the tournament. Finishing out the day, RUSH Field Hockey took home a (3-0) win over SJ Edge. RUSH Field Hockey's Megan Rodgers, notched a hat trick to lift the team to four straight wins and a blemish free record thus far. Safe travels as the 2016 Presidents' Day Showcase RUSH Field Hockey champions are now on their way home!